At a basic level, a car can be a rather simple machine. An internal combustion engine turns a shaft to provide power to the wheels, a steering system lets you point it in the right way and a braking system helps you to stop. As we can more and more technological, we add more into our cars. Modern cars have any number of computers that control various aspects that most of the time you don’t even think about. That is until that annoying check engine light pops on. Then all of a sudden you are reminded that your car has been giving a lot of thought to other systems and one isn’t running right. You could drive it to a mechanic but why not at least get an idea of the problem with the best OBD2 scanner available. These tools can read the error file that caused your warning light to pop on. Some may give you a code, others may display what the issue is. From there you can decide if it is something that you’d like to try fixing or if you would rather let someone else handle it. Either way, armed with the best OBD II scanner you should have some idea of what is going on under the hood. Jump to the OBD2 scanner reviews section and see what we think of each of above shortlisted products. The On Board Diagnostic (OBD) is a term that refers to systems in the vehicle that self-report issues. The system has its origins in the 1960s. During that time the state of California began pushing for emissions standards (the State still continues pushing hard for this, by the way). The federal government passed the Clean Air Act in 1970. This act set emission standards for car and the OBD system was used to get the cars to consistently pass these standards. These OBD 1 tools were used to monitor the emission system. Eventually, car companies realized that they could keep track of and provide information for any number of systems in the vehicle. The OBD 2 scanning tools give you a handle on what is going on in a modern car. The computer that is running or monitoring many of the systems of your car will check measurements at certain time intervals. Some of these might get checked multiple times per second, others may only be checked every few minutes, it depends on how your car manufacturer set their system. Whenever a check is made the computer will compare the value displayed to the values that it is programmed to view as acceptable. This happens constantly as you are driving about and normally the values will match. Sometimes the computer will find a value that doesn’t fall in the acceptable range. When this happens the computer makes a note of it. Often times, when that is recorded a warning light, will pop on somewhere on the dash. 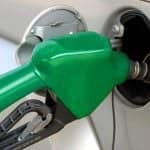 While normally it will be the check engine light, it could also trigger an oil light or some other light, depending on how your car is set up. All that light tells you is something is wrong. If you took it to a mechanic, they would hook it up to a diagnostic tool that would tell them what the issue was and may even lead them through how to fix it. An OBD 2 scanning tool is merely a home version of that device. When you start looking into the best OBD2 scan tool you will find that there are two main types. The first is a lower cost option known as a code reader. This tool will plug into your car and read then display any codes that are causing lights, such as the check engine light, to the flag. This device will allow you to clear the code as well. Normally you will get a book with a list of things the codes could mean or you could search online. This isn’t bad for basic repairs and clearing out codes, but it can be somewhat vague in certain areas. As you move higher in the price brackets you’ll also find some code reader options. While there is no hard and fast line to easily say one is a very functional code reader and one is a lower end scan tool, overall the scan tools will do more. Frequently, in addition to the code, the is causing the flag a scan tool will give you some definitions to save you digging through a book or searching online. These tools may also have options to pass the codes and definitions via Wi-Fi or Bluetooth, some can even connect directly to a printer. Overall these types of devices will come with a lot more features. When you start looking at these devices, one way of coming up with the best OBD2 scan tool is to compare the features. In general, more features will cost you more money up front, but if it saves you a trip or two to your mechanics shop they could save you a bunch of money in the long run. The first feature to look at is a memory option. Some models will allow you to store a list of codes that have come up tagged with your vehicle’s VIN so that you can see if there is a pattern of issues that is arising. This can help you to remember what problems you’ve encountered and how often they have popped up, just in case you miss place your notes about how long it has been since you have done any given maintenance task. Some devices may even have a USB option to download this memory onto your computer for long term storage. Another great feature that you will want to consider is having some sort of live data connection. The port that you need to plug these tools into tends to not be in the most conveniently placed areas. When you add in the cords tend to be rather short, you’ll see how useful live data streams can be. This will usually be done via Wi-Fi or Bluetooth. Either way, some devices will transmit your problem codes and other information to another device, making it much more comfortable to go through issues and even look up how to remedy situations. These connections also make it simpler to update your tool. Innova is a company that strives to produce the highest quality diagnostic tools for not the computerized cars of today but also those of tomorrow. They are a worldwide company, having locations in Taiwan, China, and the United States. All of the products that are sold in the US come from their California facility. Autel makes professional diagnostic tools for the automotive industry. But what’s more, they also make accessories and equipment for the automotive aftermarket. If you have to spend any serious amount of time in this hobby you have probably at least heard of them. They continue to strive to bring out new tools and equipment, investing at least 20% of their annual revenue into developing new products. Actron is a company based out of Michigan that produces diagnostic gear as well as electrical and mechanical testing equipment. They also offer a line of parts and accessories. This is another company that has been acquired by Bosch’s automotive division. Ancel is a company that falls under the Joyscan company. They are located in the Shenzhen region of China. They are a newer company, only being established in 2016. However, they are striving to put out products that meet their customer’s expectations in both function and their style. ScanTool is committed to providing affordable diagnostic solutions. The majority of the architecture that they use is open and when you pair that with free and open source software you can see that their goal is making the best available tools within the reach of everyone, even if they might not have the money to build a separate garage to work on their car. 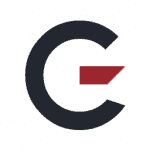 Launch is based in California and they are striving to produce automotive diagnostic tools that are both highly innovative but still cost effective. They pride themselves on offering tools and software that can cover just about every car sold in the United States today. As such, they employ quite the team of engineers and some of the leading experts in the field. OTC is another big player in the automotive diagnostics sector. They produce not only professional level electronic diagnostic equipment for automobiles, but also automotive fuel maintenance equipment plus a range of tools for servicing their equipment and vehicles. All of this is done at their multiple facilities. In the end of 2012, they were acquired by Bosch. Should I Buy an OBD2 Scanner? There is a very simple way to determine if you should purchase an OBD2 Scanner. Ask yourself if you own a car. If it turns out you do, you should pick one of these up. While it is easy for the gear head to see that this would be a great addition to their garage supplies, those less mechanically inclined might wonder what good it would do them. 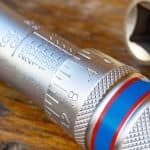 You can without a doubt read the codes and then start doing your own repairs and possibly save some money in the process. Even if you never intend to take a wrench near your car this is a good item for a sanity check. When the check engine light pops on and you go to your mechanic you honestly don’t know if what he is telling you is actually what you need or just an expensive thing that they could do. While most mechanics are very honest, wouldn’t it be great to have some idea of what is going on before you walk in? If you walk in letting them know that you got a code for a given issue and they come back and say the problem is something else entirely you know you might need to get another opinion. Codes Reader or Scan Tool? Which One Do I Really Need? You’ll have to make a decision if you want to get a simple OBD II Code Reader or do you want a full on the OBDII Scan Tool. There are a few things that can help you make your decision. First, you’ll want to look at what you are hoping to do. On the cheaper end of the spectrum, you’ll find the code reader. This is a great choice for those on a budget or who are just beginning to work on their rides. These devices will read and then display the code. These choices also have the ability to clear out codes. If you know you are already serious about doing your own work, or even looking to start a small business you’ll want to look for a scan tool. These will cover the functions of the code readers but will offer you some more information. Often times instead of merely displaying a code and letting you look it up they will give you more information on what caused the code. Some may be able to send the data to other devices or even provide you with some information as to what needs to be done to fix the problem. One of the biggest considerations you’ll want to make before outlaying any money on this type of device is, will this work with my car? It is a valid question and there are a few things that you will want to figure out when you start your search for the best OBD2 scanner. Cars will use one of five different protocols for how they provide data via the OBDII port. Depending on when your car was made and who made it they might use different options. 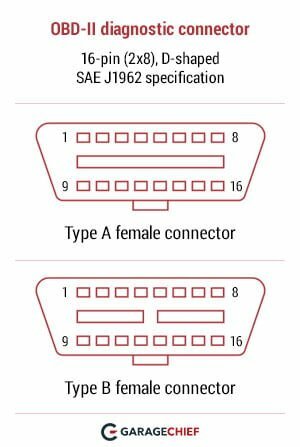 SAE J1850 VPW – 41.6 kbit/s, standard of the Ford Motor Company. SAE J1850 PWM – 10.4 kbit/s, standard of General Motors. ISO 9141-2 – asynchronous serial data rate of 10.4 kbit/s (similar to RS-232) primarily used in Chrysler, European, and Asian vehicles. ISO 14230 KWP2000 – 10.4 kbit/s, used in some Asian vehicles. ISO 15765 CAN – 250 kbit/s or 500 kbit/s. Developed by Bosch for automotive and industrial control and widely used outside of the automotive industry. All vehicles sold in the US are required to implement this CAN standard. Some options can be downright tricky, especially when you look at some of the packagings. Some tools will claim to be universal, but then elsewhere they will say that they work with most cars. Others will just note that they work with most vehicles made after a certain year. The problem is that these don’t help you all that much. We’ve added in a Car Compatibility Section at the bottom of this page, to help you ensure that you get a tool that will work with the car you are currently driving. One of the major things that you’ll want to consider is how much information do you want your tool to gives you. Some might only offer you the code or several codes as the case may be. Some higher end models can offer you a definition of what the codes mean. Some scanning tools can ever walk you through a few different ideas of what to try when you are repairing. Of course, some of the wireless options will now let you use a smartphone or tablet as your display. This has the added benefit of being able to look up further information when you find out what is going on with your car. The display of some models can give you further insight into what is going on with your car by displaying the settings of various measurement points. While it may not be a good idea to try changing these without knowing what you are doing, having the information can give you a better idea what is engine is doing. One thing to be aware of when looking at these items is where they pull their power from. Most of these devices will pull power from the battery in your car. This is not a problem if you are simply pulling the device into check a code, fix the problem and then unplugging the device. However, if you got called away halfway through the process and left the device plugged in you might find a drained battery. Another concern for power are the wireless scanning tools. These are meant to be left in. While this wouldn’t be a problem while you are driving, if you leave your car without driving it for a while you may end up draining the battery. Most of the devices will end up going into an idle mode and only popping on every 12 hours or so to log things and see if there is a device to send the data to. On more basic models you will just be able to pull codes and clear them. On some of the more advanced tools, you will be able to just run certain car systems or all of the systems as you see fit. A nice additional feature is being able to run a quick check after doing a repair. For some, you’ll have to clear the code and then drive for a while to determine if you need to do another repair or if what you have already done is enough. The ability to check quicker will save you a lot of time and energy when doing work. One of the other great ways to test your car is to see the data that is displayed during a driving test. Of course, trying to watch your device while driving about is a sure way to end up causing more damage to your car. Some tools will let you save data to review it once you are safely parked. But this requires some storage. When you are looking to store data, from a road test or just to see if a certain fault is popping up repeatedly, you’ll want to find a scanner that has some storage capacity. There are two options that you can go with on this. The first is to have on board storage. This will keep data logged on the device meaning that you won’t need to have any other piece of equipment to go with it. The downside here is that the storage can fill quickly and end up costing you a good chunk of money. The other way to go about managing your data is with a wireless option. This will stream data to another device, such as your phone or tablet. While you will be filling up your possibly limited storage there, it will be easier to move that data elsewhere. Whichever way you go, having the ability to store data is a huge plus in our book. Some models will even let you tag the data to a specific VIN so you will be able to determine which car it goes to if you are responsible for more than one. Nowadays there seems to be no end of things that are wireless. Some make sense, like a wireless phone, other items seem to make less sense. However, if you will be doing a good amount of work on vehicles or even if you just love to see the data, a wireless option is a great choice for you. Many of these allow you to plug the scanner into the port and then let it be. It will either log data as you drive about on the device and transfer it to another location when it finds a wi-fi signal or it can continually transfer data to your smartphone or tablet over Bluetooth. Both of these options end up getting the data to you in very similar ways, but there are some differences to be aware of. You’ll want to look at the onboard storage for data if there is any. More storage will drive the price up, but it means that the device can go for a longer period of time without transferring data. Also, you will need to figure out where you want the data in the end and look at the easiest way to get it there. If you want it on your laptop it may not make sense to pass it through a tablet to get there. There are quite a few people that offer real world cases of working with these amazing tools. Many people have pointed out that in many situations the price of having a mechanic or dealership have at least a three digit price tag. They have stated this after using the devices two to three times they have already saved the cost of the purchase. One of the reviewers for the Innova 3160e Coder Reader / Scanner Tool mentioned that they were able to work with a number of their cars, but the one that was most impressive was helping his friend. His friend had an air bag issue in his truck and thought he would have to take it to get worked on. The reviewer was able to bring out his tool and run some diagnostics. After running an SRS test they were able to determine the exact problem and how cheaply they would be able to repair the problem on their own. Many other people have noted how they enjoy getting to watch the live data. For several, they have mentioned that they might not even be able to use the data to work on their cars, but just being able to see how much information their vehicles process, while they are driving, is rather impressive. Which One Is Simply The Best OBD2 Scanner? Which One Should I Buy? As we went through our picks to highlight our Best Power choice and Best Value choice we dug deep to find options that would not let you down. Given the choice, everyone would want to get the best for their car or more importantly when making sure that a car is in great working order for a loved one. With that in mind, we spent our time comparing all the products that are listed to give you confidence in our picks. Also, we have made sure to suggest Best Value choices that truly are a value, not just the cheapest option that we could dig up. In our first section, the Personal Use category, you might think that you’d only find the most basic of code readers. However, when you take a look at our offering from BAFX you’ll quickly see that you can pick up a full-function Bluetooth option that works with a number of different Android Apps and stay well south of the category limit. And that is just the Best Value, for our Best Power choice we found a slim yet powerful device that would be at home if compare to full feature scanners but is priced to compete with code readers. This gives you all sorts of power, from the ability to read live engine data all the way to running your own emissions tests, the Actron CP9575 Scanner can do just about it all. When you move to the higher end you might remember that the check engine light is only one of the warning lights that can come up on your dashboard to alert you to issues. When you take a look at the Autel AL619 AutoLink ABS/Air Bag + OBDII Scan Tool you’ll find that you can clear problems with the ABS system as well as the airbag. That might be enough for our Best Value, but to come on the best of the best you’ll want to check out the Innova 3160e Code Reader / Scan Tool with ABS, SRS, and Live Data for OBD2 Vehicles to also be able to reset battery and oil lights as well. These tools really let you take control of all the systems of your vehicle. These picks go above and beyond the simple code reader as they can give you a good amount of information on what the problem is and often times how to fix it. In our opinion, it makes sense that if you are going to select an OBDII Scan Tool you get a wireless option. There is so much data that these can stream to your phone that it seems wrong to not make this choice. The one thing that you will really want to consider is how much power it will draw from the battery. While it shouldn’t be any problem while you are driving, it can get to be an issue when you stop. Some choices will offer a battery saver option or a low voltage option, but take caution with these as well. For the most part, if it will be more than 24-48 hours before your vehicle will be driven the wisest course of action would be removing the device completely. Sometimes you might want a basic tool that gets the job the but doesn’t break the bank. Or at times you might like to try an entry level tool. These tools will get you a feel for what the best OBD2 scan tool can do for you while still maintaining affordability. A number have quite a few nice features, however, you may find that if you get heavily involved in working on cars you may want to step up to the next level. What does it take to be considered our best product for this category? Just take a look at what the Actron CP9575 AutoScanner has. It can show you live engine data, give you a freeze frame of data and provide I/M Monitors among other features. In many regards, this is a full featured scan and diagnostic tool, but it is priced to compete with the more generic code tools. It is programmed to hold over 15,000 generic and manufacturer specific codes, to cover a wide variety of problems that you might come up against. This also is a stand alone tool. It is wired and does not require you to connect and use any smartphone or tablet to look up additional information. This doesn’t mean that it can’t be brought up to date, though. It has the ability to be updated via the internet so that it can continue to function with newer cars and codes as they are available. It is also designed to be used single-handedly. It sports a large easy to read screen and can be navigated with four large buttons, so you don’t have to worry about accidently hitting the wrong thing while you are working through a problem. This device offers trilingual usage so that it can cover just about anyone that needs to work on their car. With this set up you can also run your own emissions standards tests, giving you the ability to know when you take your vehicle in for formal testing that you will pass without issue. When you consider everything that this piece of equipment can do while still being able to fit easily in a single hand, it is no wonder that it is our Best Product of the category. If you are really looking for a tool that is amazingly budget-friendly while still giving you a lot of bang for your buck, look no further than the BAFX Products 34t5 Bluetooth OBDII Scan tool for Android Devices. This tool is designed to work with any and all cars that were sold in the United States after 1996. How is that for compatibility, look at your car and pretty much if it is newer than 20 years old you this device can work with it. As you can tell from the name this is a wireless scan tool that is designed to be paired with an Android Device. However, unlike some companies BAFX doesn’t force you to only use their app, you are given the option of a number of third party apps. These run the gambit from free apps to some that can cost you $50. The different apps will give you different amounts of data and control and their website has a list of the compatible choices. Though many tend to like the control and information as it is presented in the Torque Pro app. But they don’t limit it to just Android devices, this tool comes packaged with demo software to let this product work with windows based computers as well. If you are working on tablet or smartphone you can get real-time data streamed from the car as it is running. Among numerous other options that you have this allows you to run your own pre-check for emissions prior to spending money on state-approved testing. While in some cars it might feel like it doesn’t seat fully in the port, we have not found a make and model that this device won’t work with. That level of compatibility and freedom to pick any number of apps, all at this price point make it no wonder that we went with this offering from BAFX to be our pick for the Best Value for Money. Sometimes you aren’t looking for a lot of bells and whistles and you just want a basic tool that you can count on to get the job done. If that is the case the Autel MaxiScan MS300 CAN Diagnostic Scan Tool for OBDII Vehicles is the choice you should be considering. This device is a wired option so you don’t need to worry about connecting it to anything else or trying to pair things with Bluetooth or get yet another device connected to your wi-fi set up. With the simplicity of a two button system, this device will read and display the problem code that has your check engine light coming on as well as give you some definitions of what that particular code means. The set up also comes with a CD that holds all of the code definitions that could possibly come up, giving you another resource when it comes to diagnosing what is going wrong with your car. This tool is listed as working with most OBDII compliant cars, so take a moment to double check that the vehicle or vehicles that you would be interested in using this set up with will actually work before with it prior to hitting that order button. Some version of an OBD II Scan tool belongs in every garage that has a car. This will let you double check what the warning light that just popped on is trying to tell you and also clear it off if you are doing a repair. On the other hand, it also gives you the ability to know what your mechanic should mention if you go to get the problem checked out. Even if you never plan to do a repair on your own this tool can give you that extra bit of piece of mind. If you are looking for a tool that offers you a bunch of choices on how to get your data, look no further than the Veepeak VP11 Mini Bluetooth OBD2 Scanner. This scanner is built to deliver your vehicle’s data to your Android device over a Bluetooth connection. You will need an app, but the company has chosen to go with the third party option. This gives you, the end user, more control over how you would like to see your data displayed and which data you need to have access to. Now, be aware that some of these apps might run you an additional cost, but there is some high-quality free options to be had. If you are using an Android device you may want to upgrade to the low current standby option, as this could end up saving your battery from being drained if you forget to disconnect. Though if you are using an iOS device, while there is not a Bluetooth option, the company does have a wi-fi available option (this still works with Android as well). This might just be the best OBD2 Bluetooth enabled tool. One of the other perks of this set up is that they offer an OBDII extension cable. This can be very helpful if you are looking to be able to unplug the device after you are done driving in order to save your battery. 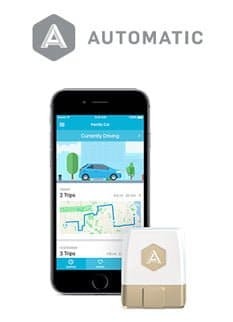 When paired with an app this will also offer you a whole slew of data points that you can monitor in real time while the car is in operation. This is a set up that offers you options at many points, options of how you want to move your data when you are buying it, which app you’d like to use and what data you wish to see. All around it is a solid package that you should consider adding to your toolbox. 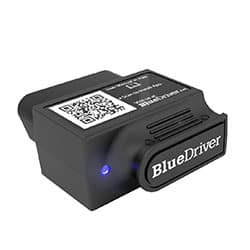 While the BlueDriver Bluetooth Professional OBDII Scan Tool for iPhone, iPad & Android is pushing the upper limit of this category when it comes to price, it is still worth that amount. This device is a wireless option, one that will work with both iOS and Android devices. The system works with the proprietary BlueDriver app, that can be found for either operating system. At one point it seems that there was a charge to unlock this app, but the company now claims that the only thing you need to spend money on is the device, not the app. Since this lets you view data on a separate system you have a bunch of perks you would not otherwise get. For example, the company can easily update the app to cover newer model vehicles or changes in the codes. Also, this device can let you view real-time graphs covering the particular data points that you are interested in watching. This allows you to watch and see if they are staying about where they should normally be or if they are coming up, but just barely not crossing the line that would cause a fault. One of the great things about this set up is that it is used by so many professionals throughout North America. This means that when you come up with a fault code your app can tap into the company’s Repair Report catalog and pull up information on how to deal with that specific code for your specific make and model. They claim that the catalog has well over 4 million fixes in it, so unless you are coming up against something truly off the wall you should be able to find some information that will help you. One downside is that this device only offers enhanced codes for certain car companies, so you might come across a code that you won’t get any further information on. The ScanTool OBDLink LX Bluetooth (427201) is a wireless choice that gives you a number of great features. One of the simple things that this device does is that it has lights on it to let you know things like it has power, it is receiving information and that the Bluetooth is working. None of these things may seem like they are all that important, but when you are sitting with your phone out, waiting for data it gives you that extra encouragement that yes, things are working properly. This device can be paired with either ScanTool’s free app for Android or Windows and can also be paired with a large number of third party apps for an Android based device. At the present time, there is no Apple iOS compatibility. One of the perks of using the company’s app is that you have the ability to upload your car’s data directly to Dropbox, so you are able to share the information with other people as you see fit. This is a great feature if you have a friend or family member that is good with cars but might not live nearby. The company claims that their product runs about four times as fast as their competitors meaning that you will have less wait time and more time to fix the problem and get on with life. This device sports a three-year warranty and the company claims that it will receive free software and firmware upgrades for life. We have also found that this option is smaller than many of the other similar products currently available on the market. The company claims that this should work on all cars newer than 1996, with the notable exception of hybrids and electric cars. They also make the claim that this set up will not drain the car’s battery if left plugged in. Sometimes you need more information and more features. Or perhaps you haven gotten an amateur model and want to step up to the next level. 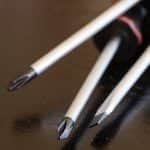 Each of these would have no problem finding themselves in a mechanic’s shop, and that might be the level of equipment that you may want to stock in your garage. If you are looking for the best product of our list, you need to look no further than the Innova 3160e Code Reader / Scan Tool with ABS, SRS, and Live Data for OBD2 Vehicles. This device has a removable cord to ensure that you can easily store this one away when you are done using it. And at merely 3.5 inches wide by 8 inches long it will comfortably fit in a single hand. It also sports a full-color screen to make displaying and reviewing information on the codes and various fix options. But in addition to the standard OBD2 DTC codes, this device also can display and clear ABS and SRS codes and turn off those lights. And the tool can be used to perform resets for both oil and battery issues on most cars that are from 1996 or newer. The information can be presented in English, Spanish and French so that you have a wider spread of languages to work with. When you have the device connected you can either stream live data, watch it on the device or save it for later to be reviewed on any Windows computer. Once you are on the computer you can get onto Innova’s RepairSolution system to give you access to a wide variety of fix information, even helping you get a feel for what the repair might cost you if you do it on your own as well as a difficulty rating to help you know what you are getting yourself into. This tool might not have all the features of a $10K device that is meant for big mechanic shops, but it is a must for any serious gearhead, to keep them fully informed on what is going on with their car. With all the features that his particular model can accomplish it is no wonder that this product is our top choice for the Best Product of the category. One issue that can arise with using an OBDII scan tool is that most are set to just deal with faults that kick the check engine light on. There are other warning lights that can pop up on the dashboard to indicate problems, such as the ABS light and the Air Bag light. For some tools, you are still left to wonder just what is going on in the car. But with a tool like the Autel AL619 AutoLink ABS/Air Bag + OBDII Scan Tool, you can cover it all. This device was made to deal with the generic and enhanced trouble codes from all vehicles sold in the USA after 1996, but will also provide data on ABS and Air Bag problems for most of the cars that were sold in the same time period. Not only will it give information on the codes, but while it is reading it also retrieves vehicle information to give it an idea of the exact make and model to provide the most accurate information possible. And to keep that information as accurate as possible, this device is updatable via the internet. This device comes with a removable cable to make storage simpler and to further that goal it comes with a zippered soft sided case so the device and the cable don’t get separated. The screen is a good size and in color to provide you with an easy viewing experience. The buttons are laid out neatly and make for intuitive use when you first pick the device up. With all these features and the ability to change the device from English to Spanish to French, you might think it would be a higher end unit. However, the price point, especially when compared to the features it brings, makes this one from Autel a clear pick to be our Best Value for the Money. The Actron CP9580A Enhanced AutoScanner Plus shows one of the main reasons to pay the money to get a true scan tool over a code reader. This device is focused more on the fix than the code. It will provide you with the fault code so you can note that down but it will also shift through its collection of over 4 million fixes to find you a solution that will fix the issue, based on your make and model of vehicle. In addition to providing standard DTCs from cars sold in the US after 1996, this tool has been updated to include ABS codes as well, making this an even more powerful park of your kit. This device also sticks with the proven design that works. It has a wired connection to the car and provides a nice big screen that it can easy provide detailed information for whatever situation your car presents. This means that you won’t have to endlessly scroll through to read things two lines at a time. It has also been programmed to provide trilingual support to further include people who might like to know what is happening with their cars. And the eight large buttons make it simple to navigate through the screens, even if you happen to be wearing gloves while you are working. If you are looking for another reason to consider this purchase, take a moment to consider the fact that a number of automotive parts stores have selected this particular model as the one that they picked to help their customers get a good handle on what parts they needed to pick up and how to solve their problems. This one also has the ability to run while not connected to the car, if you use four double A batteries. This will let you take notes or refer to the device as you look up other things in the process of putting in your fix. The INNOVA 3100 Diagnostic Scan Tool/Code Reader with ABS and Battery Backup for OBD2 Vehicles is a powerful diagnostic device that gives you the data that you need. In addition to the standard OBDII codes that vehicles have provided for the past 20 years, this option also can provide information and the ability to erase codes from the ABS system of some popular companies, such as GM, Ford, and Toyota. But in addition to all of that, this device also lets you run a vehicle emissions test, so when it is time to take your car in and pay for the test, you know that you will have no problem passing. This device also offers’s INNOVA’s optional RepairSolution, which can give you information gathered from ASE certified technicians on how to fix whatever issue arises. This one also has a battery memory backup to let you review the information provided even when you aren’t plugged into the car so that you can make notes and develop your repair strategy in a more comfortable position than would be required with it plugged in. This tool refreshes about every 30 seconds to make sure that you are provided with the most updated information about what your car is doing. It also makes it quick and easy to check that your repair options have solved the problem you were dealing with. This is another wired option, but it has a removable wire to make for easy storage. This unit features a black and white screen with a simple 7 button layout. However the model has been slightly tweaked to give you a different button layout and even the option for a color screen, this configuration is sold as the INNOVA 3100i. And if you track down the INNOVA 3100j, you add in the ability to deal with other SRS lights and have an Oil light reset. The ScanGauge II Ultra Compact 3-in-1 Automotive Computer with Customizable Real-Time Fuel Economy Digital Gauges is more than just a scan tool. This can perform all the standard OBDII scanning tool functions, such as displaying DTC codes, clearing the codes and turning off the check engine light. However, this computer also can display things like fuel consumption, coolant temperature, engine speed, and even the horsepower that the engine is producing. Depending on the type of car you pair it with you can get up to 37 different digital gauges displayed on the computer. This set up is meant to be mounted and left in your car. It comes with a long cable to be able to reach from your vehicle’s OBDII port to a spot that is visible on the dashboard. The kit also brings you a few sets of hook and loop adhesive strips to give you the ability to mount the computer anywhere you want to place it. This gives you the ability to place it where ever is most convenient for you. Also, the computer screen can be customized. The screen is a high contrast to give you an easy time seeing it. And the keys and screen can be backlit that can be set to off, low or high. You also have the ability to change it to any of the 63 colors that are programmed into the setup. Being a computer this set up can help you with a bunch of different information. 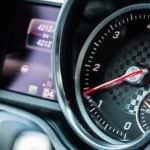 Since the computer can monitor how far, how long, how fast you have gone and how much fuel you have used, if you input the price per gallon it will compute how much you have paid per mile traveled and more. This computer can also make calculations to give you an estimate how much further you have until you are empty, both in terms of drive time and in terms of miles traveled. When you first get a look at the Autel MaxiSYS MS906 Automotive Diagnostic Scanner you might think that you found someone’s tablet. But the system is an advanced diagnostic tool that has quite a bit of power packed into the form. This tablet comes with a 5-foot long cord to plug it into your car’s OBD 2 port as well as cords to charge both from a normal outlet of from your car. Once you plug it in you can walk through the process with the simple touch screen interface. To add to compatibility the set up comes with 12 different OBD 2 adapters, to make sure that you can plug just about anything that you would want to into your vehicle’s port. And to ensure that you don’t lose any of this gear a sturdy molded plastic case comes with the set up to keep everything organized. The tablet has integrated wi-fi ability to make sure that once you determine the fault code you can easily find information on how to resolve the problem. The set even features a disc that contains the Maxsys PC suite to give you a lot of information on whatever problem you come across. Once you make your purchase you get one year’s worth of free updates to ensure that you have the most up to date information concerning codes and their fixes. This set up will not only display information about the check engine codes but ABS codes as well. Many tools that do as much as this tablet can end up costing two or even three times as much, so while the price may seem high compared to some options when you compare it to tools that do similar functions you are saving a good chunk of money. As you go through this you will find that there are any number of terms and abbreviations and the like that might not be clear. Let’s see if we can demystify some of these. For starters, OBD stands for On Board Diagnostics. And when you get into the problem codes you will see many places list DTC. This simply means Diagnostic Trouble Codes. These codes can be broken out to generic and enhanced. Generic codes will mean the same things regardless of the make and model of car in question. These codes generally begin with P0 or P2 and then are followed by a 3 digit number. These faults tend to be ones that could indicate air pollution problems. Enhanced DTCs normally begin with P1, these codes are specific to the make and model as well as sometimes the year and at times even engine size of a car. These codes are ones that you need to make sure you have looked up properly. Now that you are sure you know what the code says and have an idea of what caused it, you will need to make an action. This could be anything from merely clearing the code to doing some work on the car or just taking it into the mechanics to fix the problem. Automatic – More Than an OBD2 Scanner – Is That The OBD2 Scanner’s Future? 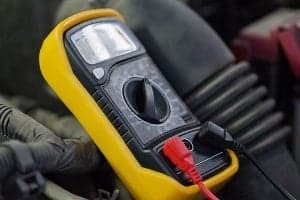 The OBD 2 tools generally have to be disconnected prior to driving your car about. If nothing else, you really don’t want that thing dangling around right around where the gas and brake pedals are. In today’s age of smartphones and having an app for everything, why not add an app to monitor your car’s system. So far most car manufacturers haven’t added in any syncing capabilities, but a company has come up with its own solution. A company called Automatic has come up with a dongle that you plug into your car’s OBD-II port and just leave it there. The device can then sync with your smartphone. In addition to just tracking codes like these scanning tools, this device gives you the ability to log trips, keep track of fill-ups, be alerted if your vehicle is in a crash, remind you where you parked and even give you a web display of your dashboard. Giving you continuous automatic tracking of what your car is doing may just be the next step in diagnosing your vehicles issues. 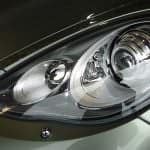 As an additional benefit, this looks like it can also help keep an eye on your car if someone else, like a friend or a child, is borrowing it. Since the pro model offers live vehicle tracking you can get an idea if they are taking your car places you’d rather it no go. Does My OBD2 Scan Tool Have To Be Professionally Installed? No, these devices are very much plug and play. Once you locate the port in your car all you will have to do is plug in your tool and turn the key to the on position. This gives you the ability to easily move it from one car to the other and only have it plugged in when you want to use it. Is My Vehicle Even OBD2 Compliant? For the most part, if you have purchased a vehicle in the United States that is newer than the model year 1996 your car has some level of compliance. While some cars may provide more data and certain tools may be able to bring certain things up, at the very basics you should be able to pull up the generic codes with this type of scan tool. You will want to check on the compliance of your car with the tool that you select, as even if the car is compliant certain tools may not work with it. Will My Scanning Tool Drain My Car’s Battery? OBD2 Scan Tools will pull from your car’s battery to power themselves. This draw will be about the same as if you plugged in a phone charger. If you plug the device in to read codes and then unplug it you should not experience any problems with a properly functioning battery. Will This Fix My Check Engine Light? Can These Fix Other Warning Lights On The Dashboard? Some tools will only work with the check engine light faults. There are some that we have reviewed that will also work with the SRS(Airbag) system, others will also be able to reset oil and even battery lights. You should note though that while the standard codes are more set, not all car companies use exactly the same set up as each other, so even a tool that says it can work with these other systems might not work with all vehicles. There you have it, all the information that you need to know to choose your best OBD 2 Scanner Tool. We’ve gone through the things you should look for as well as what these tools can do for you. Even if you never plan to do any repairs on your own car, you can still end up saving money by getting to know what your car’s check engine light is trying to tell you. With a little internet research, you can easily determine if this is something that truly needs to be addressed by a mechanic now or if it waits a little while. We’ve also show you how to take your new diagnostic tool out of the box and get it hooked up and reading information from your vehicle. We’ve also answered some of the questions that come up about these most often. If you are looking for the best OBD2 scanner tool that still comes in under $100 take a look at the Actron CP9575 AutoScanner. This is a great choice if you are starting out or want a good deal of power while saving some money. Of course, if you would like to go with the best one that we’ve come across the clear choice is the Innova 3160e Code Reader / Scan Tool with ABS, SRS, and Live Data for OBD2 Vehicles. Either of these would make an excellent addition to your garage. Lastly, we’d love to hear from you. Which of these choices did you go with and why? Let us know in the comment section below. What’s the Best Wet Look Car Wax To Make Your Car Look Brand New?